Microsoft Azure SQLDB is a database as a service. That means that it is “fully managed”. It removes many of the tasks related to the set-up and administration that we are used to with SQL server on- premise. Not having to worry about an operating system, hypervisor or thread count can simplify performance management. Azure SQLDB even introduces functionality that aims to automatically tune the workload performance. However, that should not make us complacent. The performance of any database as a service is inextricably linked to cost. A poorly optimized workload can cause the provisioning of extra resources. It is great to be able to scale automatically to stay within SLA, but this costs money. If left unchecked it can accumulate fast and hit hard on your company's bottom line. The performance challenge has evolved with the database as a service, but it certainly has not gone away. 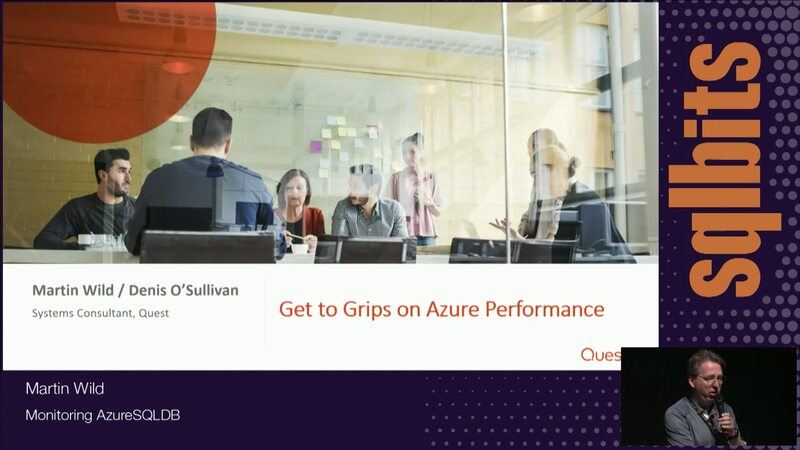 Join this session to learn how managing performance is even more critical with Azure SQL DB. Learn what key performance indicators are most applicable, what auto-tuning really means and get some tools to help you identify performance issues and correctly size your database.